If you press your tongue against your teeth, unless something is badly wrong they won't budge. In fact, your teeth are subjected to a fair amount of pressure each day as you chew and eat, and yet they remain firmly in place. But there's a deeper reality—your teeth do move! No, it's not a paradox—the gum and bone tissues that hold your teeth in place allow for slight, imperceptible changes in the teeth's position. Their natural ability to move is also the basis for orthodontics. Here are 3 more facts you may not know about your teeth's natural ability to move. Teeth are always on the move. Teeth are held firmly within the jawbone by an elastic gum tissue called the periodontal ligament and a thin layer of bony-like material called cementum. In response to pressure changes, though, the bone dissolves on the side of the teeth in the direction of pressure and then rebuilds behind it, solidifying the teeth's new position, a process that happens quite slowly and incrementally. 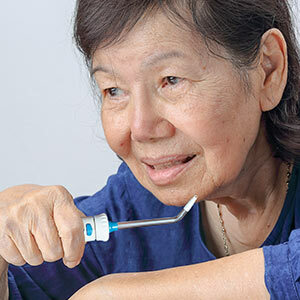 And it will happen for most of us—some studies indicate more than 70% of people will see significant changes in their bite as they age. Orthodontics works with the process. Orthodontic appliances like braces or clear aligners apply targeted pressure in the direction the orthodontist intends the teeth to move—the natural movement process does the rest. 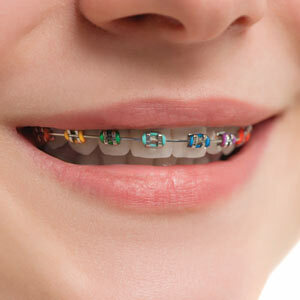 In the case of braces, a thin metal wire is laced through brackets bonded to the front of the teeth and then anchored, typically to the back teeth. The orthodontist incrementally tightens the wire against its anchors over time, encouraging tooth movement in response to the pressure. Clear aligners are a series of removable trays worn in succession that gradually accomplish the same outcome. Watch out for the rebound. That nice, straight smile you've gained through orthodontics might not stay that way. That's because the same mechanism for tooth movement could cause the teeth to move back to their former positions, especially right after treatment. To avoid this outcome, patients need to wear a retainer, an appliance that holds or "retains" the teeth in their new positions. Depending on their individual situations and age, patients may have to wear a retainer for a few months, years or from then on.